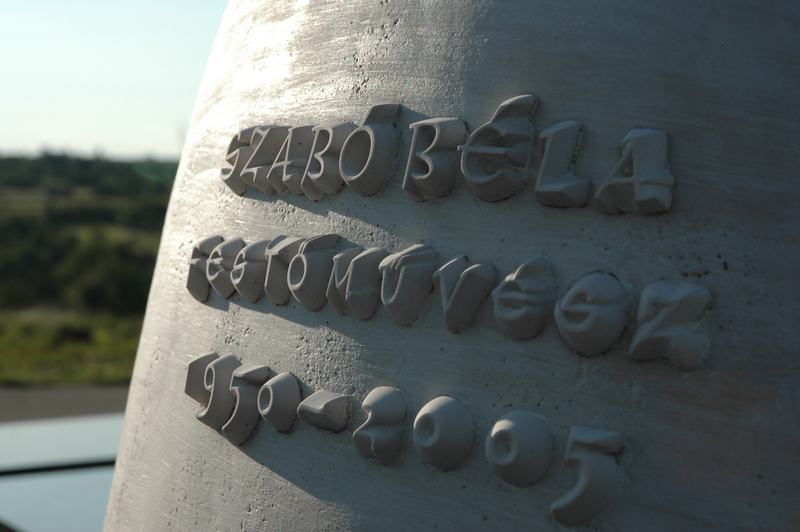 The funeral monument to the painter Béla Szabó in Sopron’s cemetery is a singular ceramic sculpture. 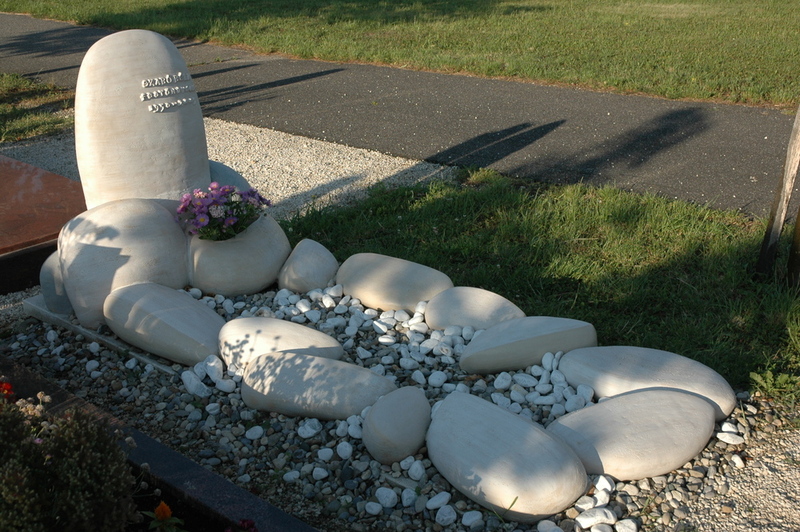 The monument’s form and development was inspired by the limestone pebbles and rocks of the Sopron area. The painter collected limestone pebbles shaped and rounded by the ancient seas of the Sopron area with the intention of carving sculptures from them. In the end, he did not have the time or energy to realize the project. The funeral monument is a memorial to and completion of this artistic vision. Among the real pebbles on the tomb are several of the rocks he collected. The ultimate visual image designed for the monument is one where nature has taken possession of the tomb, and a landscape of lichens and mosses colonize its surface. The rock-like shapes are made of ceramic material, and the lettering is hand carved porcelain. The letters are formed in the artist’s own handwriting, etched and carved into stone.